Rooky's Nook Remedy for a little Rest and Relaxation Required? 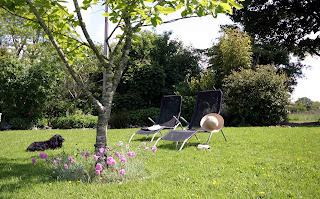 Come and experience - sunshine and birdsong, plus star gazing into amazing night skies, in peaceful, quiet surroundings. Rooky's Nook secluded location, offers a luxury hideaway for two (with or without your 4 legged friends!) - in a truly special place - offering a truly special escape.